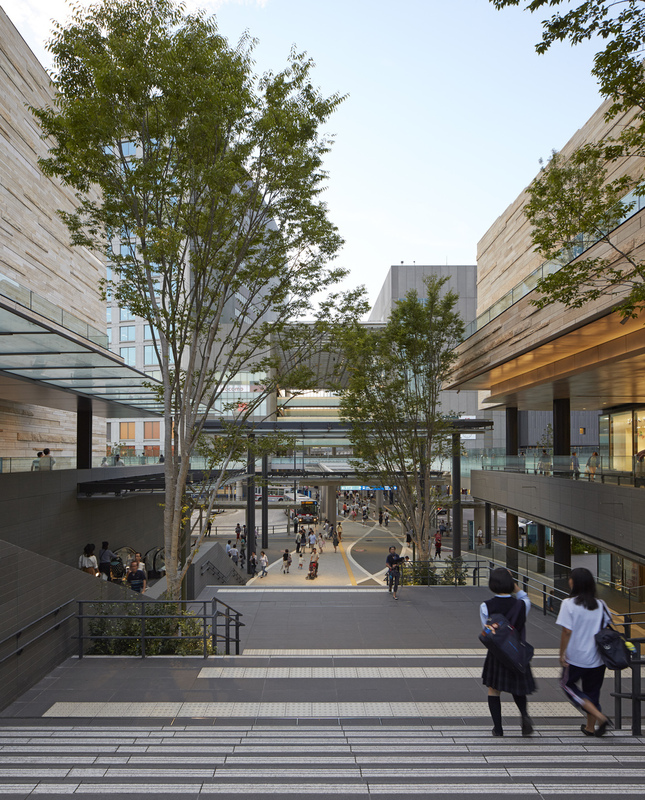 Won in limited competition against a list of international architects including Cesar Pelli, KPF and Kengo Kuma, Conran and Partners has led this significant project, Tokyo's single largest development in the last 10 years, as both Design Architect and Design Supervisor since 2004. Conran and Partners' design concept for the project responds to the essential elements of the site: its location on the very edge of Tokyo, its adjacency to the Tamagawa River and the shift across its one kilometre length, from the urbanity of the railway station to the west, to the park to the east. As such, the scheme reflects the site's important transitionary role at the threshold between city and nature in this popular, family-orientated neighbourhood. The scheme's references to nature are expressed as stone strata, both as eroding planes within the base plateau and in the stepping form of the low rise buildings. The project is the first in Japan to achieve LEED ND Gold Standard (Pre-Certified Plan) – equivalent to the UK BREEAM 'Excellent'.